our generous portions. All has been decorated in harmony with the atractive surroundings. flavors and aroma, into an unforgettable culinary event. Your Host, Marcos, assisted by four pleasant and friendly co-hosts, seem to effortlessly satisfy even the smallest needs of their guests. Service of such consistent high quality, is an pleasure to experience. strongly suggested that guests make reservations, or dine early. 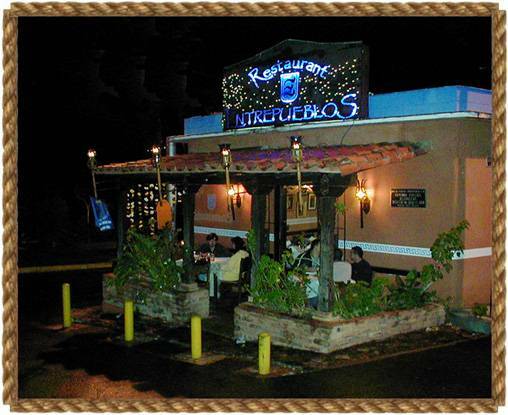 Simplicity and modesty are characteristics that best describe the Entrepueblos cozy, warm, and intimate atmosphere. A perfect setting where one can enjoy truly fine food while having a delightfully comfortable time. Mon - Thur: 12 m. - 10:30 p.m.
Fri - Sat: 12 m. - 11:00 p.m.
Sunday: 12 m. 6:00 p.m. 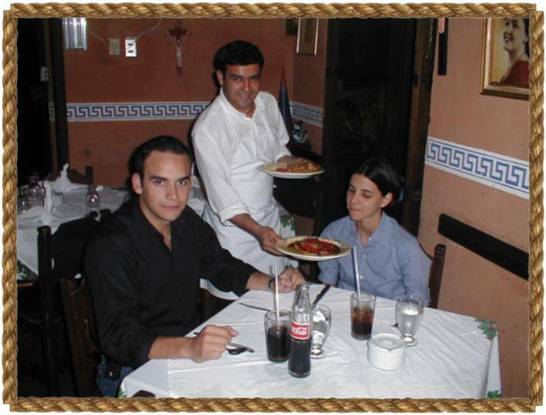 Copyright: Restaurant Entrepueblos, Hosted and Promoted by W.R., Inc.